It's not your father's heart disease anymore. In a world where so many people suffer from cardiovascular illness, and where 50 percent of heart attacks occur in people with low cholesterol levels, it's definitely time to take a new look at exactly what constitutes cardiac risk - and exactly what people can do to manage and reverse it. 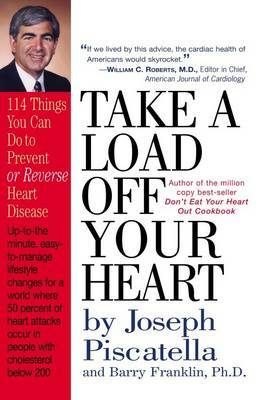 Joe Piscatella does just that in TAKE A LOAD OFF YOUR HEART, a cutting-edge yet practical and easy-to-implement program for taking charge of heart health.